Jurgen Klopp is two and a half years into his reign as Liverpool manager, and the headway made during that period has been considerable. Believe it or not, that harrowing 6-1 defeat to Stoke City on the final day of the 2014/15 season is still less than three years ago. The embarrassment at the Britannia Stadium has to go down as one of the lowest points in Liverpool’s history, as Steven Gerrard’s unrivalled career ended in horrible fashion. A vast chunk of supporters felt Brendan Rodgers should have been sacked there and then, but the Ulsterman survived another five months before eventually being shown the exit door. 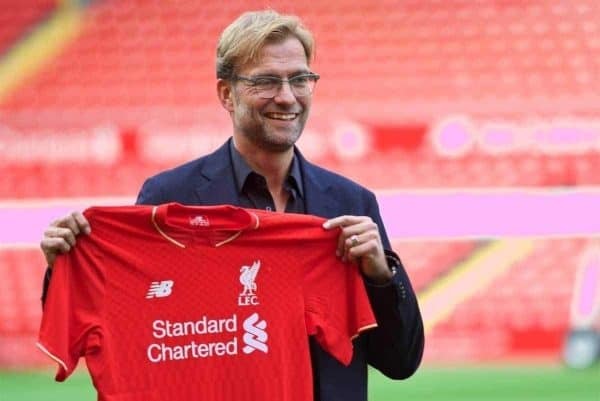 The appointment of Klopp in October 2015 was a huge statement of intent by the club, and he was welcomed to Anfield as a God-like figure, tasked with bringing the glory days back and making Liverpool compete with the best again. Huge things were expected from the off, and while there have been minor speed bumps along the way, the 50-year-old has done an outstanding job. The German did his very best to play down his giant reputation from the first minute, calling himself “the normal one” during his unveiling. It is clear that Liverpool’s manager is a long way from that, however, and even from his first game in charge, a 0-0 draw with Tottenham, it was easy to detect his influence. Two cup finals were reached in his first season, and although both ended in heartbreak, we were witnessing progress all the time—a key word in all of this. There were other bad days aside from the finals, but they were far outweighed by some glorious occasions including a 4-1 thrashing of Man City at the Etihad and a 3-1 success away to Chelsea. 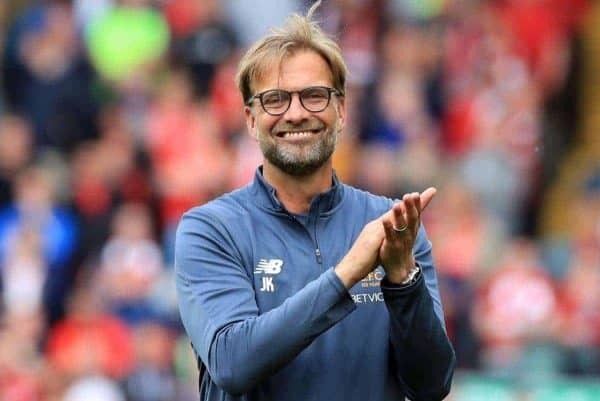 It was never going to be a quick fix, much as some lazily claimed it should be, but Klopp’s first seven months in the hot seat had been a blinding success, regardless. Season No. 2 had a clear objective: lead Liverpool back into the Champions League, for only the second time since 2009/10. Klopp delivered in style, ousting Arsenal from the top four for the first time under Arsene Wenger, and ensuring the club made an almighty step in the right direction. Suddenly, they were back dining with the big boys, and a club soaked in mediocrity before Klopp’s arrival already felt relevant and respected again. This season, while not perfect throughout, is threatening to be one we remember for the rest of our lives, as the Klopp tenure gathers further pace. 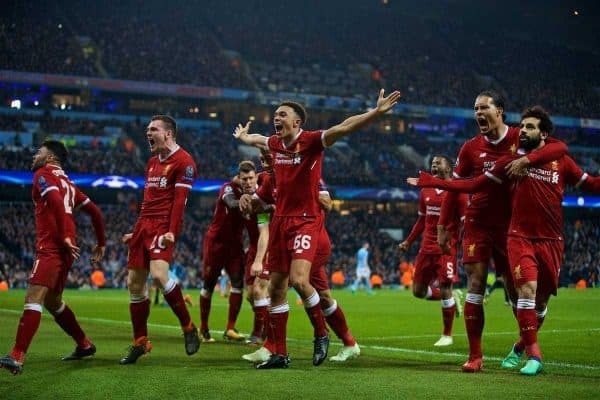 A top-four finish again looks nailed-on, and qualifying for the Champions League semi-finals on Tuesday was an amazing achievement, winning 5-1 on aggregate against a City outfit being lauded across the globe. There is no reason why Liverpool cannot go all the way and lift the trophy in Kiev next month, with Real Madrid, Bayern Munich and Roma more than beatable. That really would cement legendary status for Klopp already, with European Cups such a major gauge of the greatness of any Reds boss. To have gone from that Stoke horror-show to the last four of Europe’s greatest competition in such a short space of time is testament to the job Klopp is doing. The immediate characteristic associated with Klopp is his exhilarating brand of attacking play. Some of the football on show has been as thrilling as anything Anfield has been treated to since the 1980s, with excitement and drama galore. The goals have flowed at at a persistent rate—297 in 147 matches so far—and there have been outrageous individual strikes, sublime team efforts and dramatic late winners that have caused delirium in the crowd. Pace, trickery, positional interchanging and creativity are regularly on show, and the likes of City, Man United, Chelsea, Arsenal, Tottenham and Borussia Dortmund have all failed to cope with it. This is no circus act; Klopp plays this way to ultimately achieve success. It takes guts to adopt such an approach, however, and Klopp has that by the bucketload. Perhaps the most impressive aspect of his residence has been his work in the transfer market, which has been nothing short of outstanding. It is difficult to think of a single flop since he took charge, with the bizarre loan move for Steven Caulker in January 2016 the only stand-out. Some have taken time to settle, others have not set the world alight; but with every purchase it’s clear exactly why Klopp wanted to acquire them. 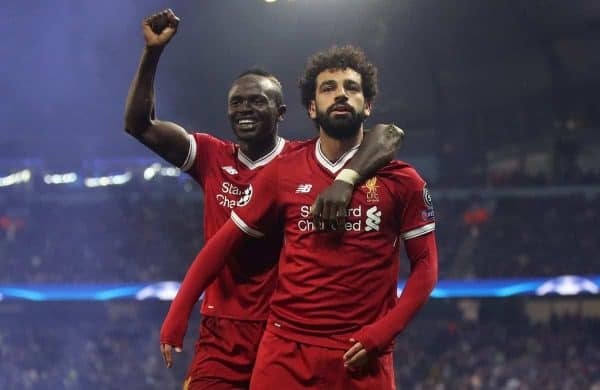 Bringing in Mohamed Salah and Sadio Mane has been a masterstroke, with the pair turning the Reds into one of the most feared attacks in world football, either side of the majestic Roberto Firmino, who has felt like a new signing under the German boss. Klopp had to bide his time to get Virgil van Dijk, but he is an arrival of enormous significance. Andrew Robertson, Gini Wijnaldum and Alex Oxlade-Chamberlain all arrived to a mixed reception, but they have all been undoubted success stories, while Joel Matip and Ragnar Klavan have been solid, if unspectacular. Loris Karius has been lambasted by the media and fans alike, but there was a reason Klopp rated him so highly, and the goalkeeper is now looking a key man after finding his feet. Then, of course, there is the imminent arrival of Naby Keita, who has the ability to transform Liverpool’s midfield and become one of the Premier League‘s outstanding players next season and beyond. 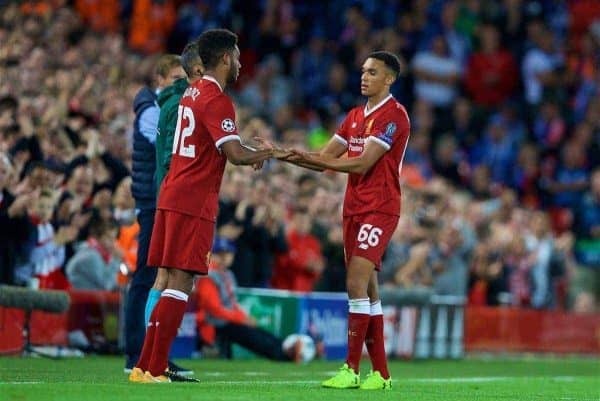 The manner in which Klopp has shown faith in youngsters should not be ignored either, with Trent Alexander-Arnold and Joe Gomez now important squad members, and many others blooded along the way. 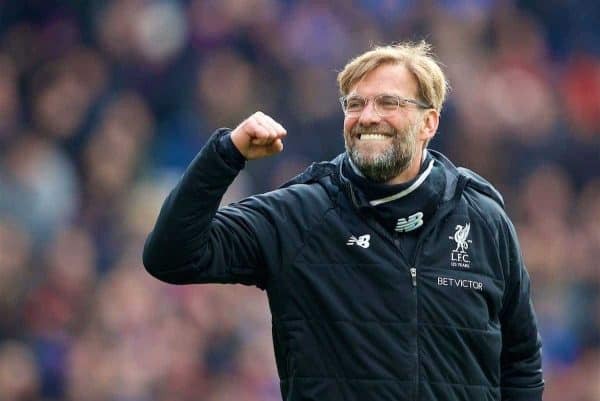 Team spirit and togetherness is also very much at the forefront of Klopp’s thinking, and he has single-handedly changed the mood at Anfield after the poisonous end days of Rodgers. The players look an incredibly close-knit bunch, and the fanbase is united, give or take the occasional oddball who spouts nonsense on social media. Klopp won’t tolerate a player who doesn’t want to be at the club, which is precisely why he was happy to let Philippe Coutinho leave, amid much furore. That’s worked out OK, hasn’t it? Even at Melwood, there is now a much closer relationship between squad and staff, with Klopp seeing the importance of not putting the players on a pedestal around ‘normal’ folk. Two-and-a-half years is a long time to be a manager at certain clubs, and for certain individuals, but Klopp is someone with a long-term plan. At no point have Liverpool ever been going backwards under Klopp, a vital point to make. It is easy to forget how average Liverpool were when the German took charge, with the Reds sitting 10th in the Premier League and going nowhere. Klopp has changed it all though, and brick by brick his masterpiece is taking shape. Fitness levels have improved, a winning mentality has been built, top-class players have been brought in and a title challenge is a distinct possibility next season. Yes, a trophy needs to be won, in order to end both Klopp’s and the club’s drought, but it should not be classed as the be-all and end-all. 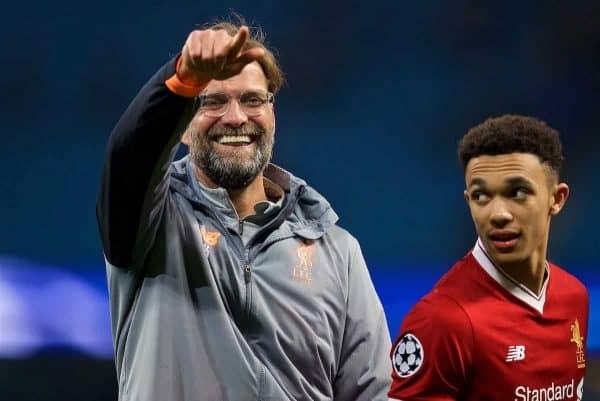 Qualifying for the Champions League semi-finals is a greater measure of the job Klopp is doing than if he had been knocked out at the group stage but won the League Cup this season. The manager still has over four years to run on the contract he penned an extension to in 2016, and Liverpool will achieve great things in that time. If anyone is going to deliver us that league crown we so crave, Klopp is the man to do it. Liverpool is bigger than any manager, but we aren’t half lucky to have him.